In the cut-throat arena of second-century Corstopitum, Phaedrus, ex-slave and gladiator, wins his freedom in bloody combat. But he soon finds himself caught up in a battle even more fierce and vital. 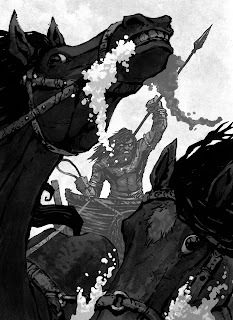 Assuming the identity of Midir, lost king of the Dalriad tribe of Northern Britain, he must unite and lead the Horse People in rebellion against Liadhan, the traitorous queen who has usurped the throne. 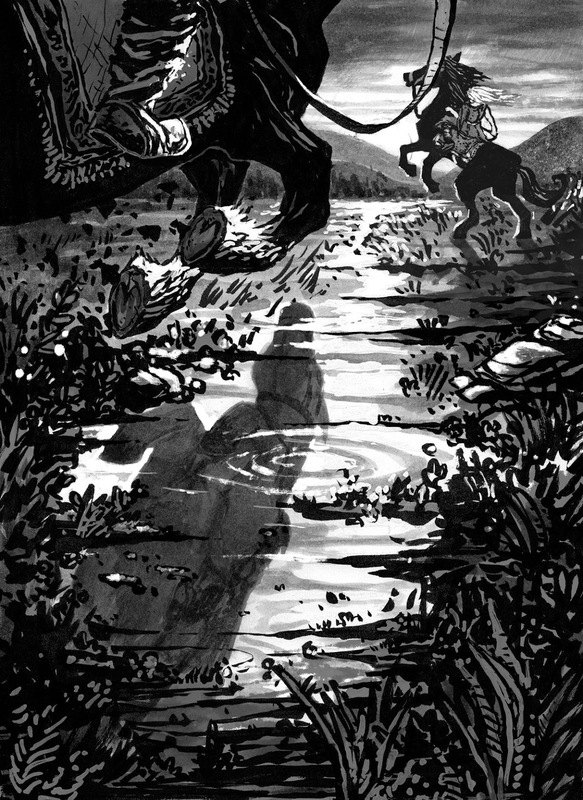 For Phaedrus the adventure is one of self-discovery; tattooed with the Mark of the Horse Lord he comes to learn the true nature of leadership and heroism, loyalty and sacrifice. Rosemary Sutcliff is heralded as one of the finest writers of historical fiction for young people, but like all good children’s authors has always been enjoyed by adults alike. In his new introduction written for this Folio Society edition, Carnegie Medal-winner Philip Reeve celebrates Sutcliff ’s unparalleled talent for bringing history alive for her readers. A master of storytelling, she weaves together well-chosen images – from ‘the skeleton shadows of the spear-stacked arms-racks’ and the ‘stink of the wild beasts’ den’ in the arena to Phaedrus decked in ‘an ancient clashing necklace of river-gold’ and ‘riding at the head of a fiery cloud of horsemen’ during his King-Making ceremony – to evoke a past rich in detail and character. Felix Miall’s brush-and-ink drawings, full of verve and atmosphere, were carefully researched for historical accuracy. 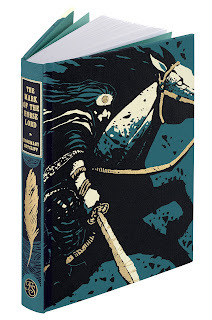 His portraits of the Caledonian Chieftain in battle, and the ritual hunt across the bogs of Earra-Ghyl, convey all the spirit and energy of Sutcliff ’s prose, while the binding design features Phaedrus as the Horse Lord in all his glory. For seventy years, The Folio Society has been publishing beautiful illustrated editions of the world’s greatest books. It believes that the literary content of a book should be matched by its physical form. With specially researched images or newly commissioned illustrations, many of its editions are further enhanced with introductions written by leading figures in their fields: novelists, journalists, academics, scientists and artists. Exceptional in content and craftsmanship, and maintaining the very highest standards of fine book production, Folio Society editions last for generations.